We had to replace 2 bath sink faucets due to an unavailable part. The old ones were an online purchase from a CA company who sold modern sink fixtures, but not replacement parts. A very disappointing reality. We found these on a big box online site and liked the simple modern design. As an item that one can only purchase online and not examine in your local store, there were some unexpected features when this faucet was delivered. For one, it is taller than the ones we were replacing. It took a little getting used to, but a small compromise. The cool feature we didn't expect was the faucet head swivels from left to right. Not that we humans actually use this feature, but perfect for our cat who only drinks running water from the faucet. Overall, a great purchase for those who like minimal design. 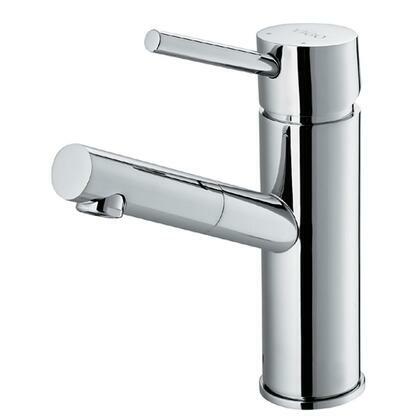 I purchased two of these faucets for the house we are building and though we haven't installed them yet, I am very imressed by the quality. The faucets arrived in a nice box protected with heavy foam along with easy to read information and intructions. 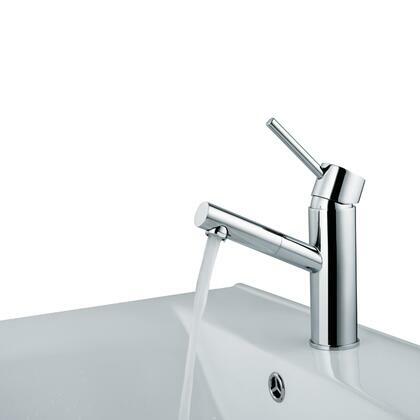 This faucet appears durable and user friendly with a spout that turns any direction. We bought them to go with Ikea sinks and cabinets. Works very well, smooth aerated water flow. Easy install if your existing plumbing matches up with connections. Nice to see the water lines included but was disappointing the deck plate was not- that was an extra $30 cost. I am very happy with the product thus far. I love the aesthetics and the quality. I was very pleased to see the quality of the faucet and very heavy ! I've never purchased Vigo products before. Very pleasantly surprised at the quality. I like it better than my more expensive American Standard Serin faucet. Sleek,modern, easy to clean, stylish. Nice finish. I purchased this product because of the unique features, and quality workmanship. I am very satisfied.